June groundbreaking for single-family homes, which account for the largest share of the market, slipped 0.9 per cent to a 685,000 unit pace, that reflected a big drop in the Northeast. Multifamily construction – which grew 29.4% – propelled the bump in overall starts. 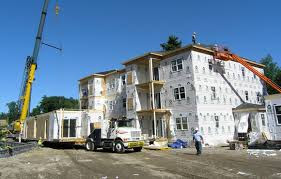 The positive data follow a report Thursday from the National Association of Home Builder that said USA homebuilders’ confidence was at its highest level since November 2005, before the Great Recession and a financial crisis in late 2008 that almost sunk the housing industry. Building permits rose 7.4% at an annualized pace of 1.343 million. This is 9.8 percent (±19.9 percent) above the revised May estimate of 1,069,000 and is 26.6 percent (±19.6 percent) above the June 2014 rate of 927,000. Economists anticipate that the housing market will mitigate the drag on the economy from a struggling manufacturing sector. “The multifamily gains this month are encouraging and show that the millennial generation continues to be drawn to the rental market”, said NAHB Chairman Tom Woods, a home builder from Blue Springs, Mo.